The 11th of November in Portugal is the Dia da São Martinho – the day of St Martin – which is celebrated with roast chestnuts and traditionally the opening and tasting of the new year’s wine. St Martin has two great legends attached to him – the first is his apparent reluctance to become a Bishop! The story goes that he hid in a barn hoping to escape the people coming to make him a Bishop, but a flock of geese made such a noise that they gave up his hiding place … I have fun imagining the modern day version of this with the Archbishop of Canterbury hiding away… and so the goose became St Martin’s animal symbol. He is also famous for cutting his cloak in half in a snowstorm to stop a beggar from freezing to death. The next night, he had a dream in which he saw Jesus wearing the half of the cloak he’d given away, surrounded by angels. The remaining piece of cloak became a very revered relic, and the building where his cloak — “cappa” in Latin — was preserved was known as the “cappella,” the root of our words chapel and chaplain. 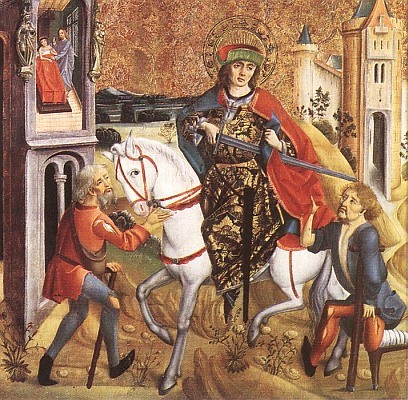 St Martin became the patron saint of beggars. It’s also both the start of winter and also a time to celebrate harvest time – hence the tasting of the new wine. According to Wiki (link) historically the 11th November was also the last day before a fast period lasting 40 days, called “Quadragesima Sancti Martini”, “the forty days of St. Martin” in Latin. On St. Martin’s day people ate and drank very heartily for a last time before they started to fast. This period of fasting was later shortened and called ‘Advent’ by the Church. Today it is seen as a mini-carnival day, called ‘Magusto’ with feasting, lanterns and bonfires across most of Europe. In Portugal they also drink an alcoholic beverage called água-pé (literally “foot water”), made by adding water to the remains left after the juice is pressed out of the grapes for wine – which is traditionally done by stomping on them in vats with bare feet, and letting it ferment for several days. 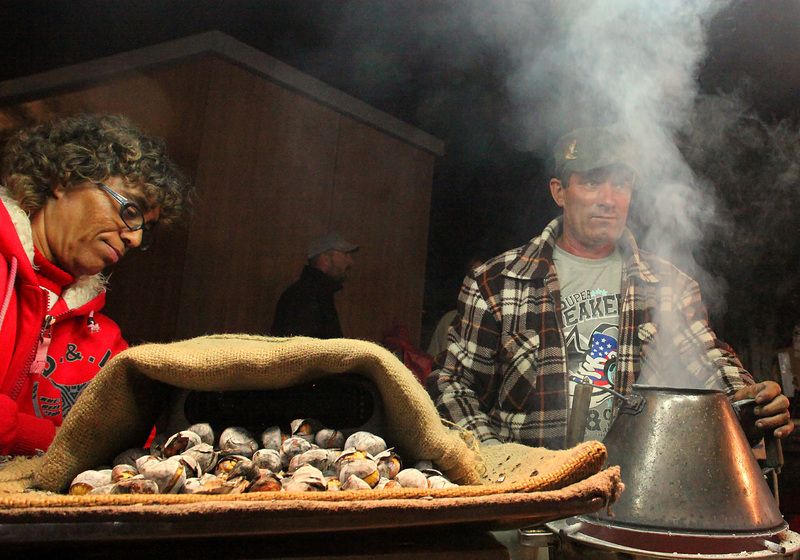 Chestnuts are also very popular – tradition goes that the festival is also a time of ancient sacrifice to honour the dead and a time to prepare, at midnight, a table with chestnuts for the deceased family members to eat. 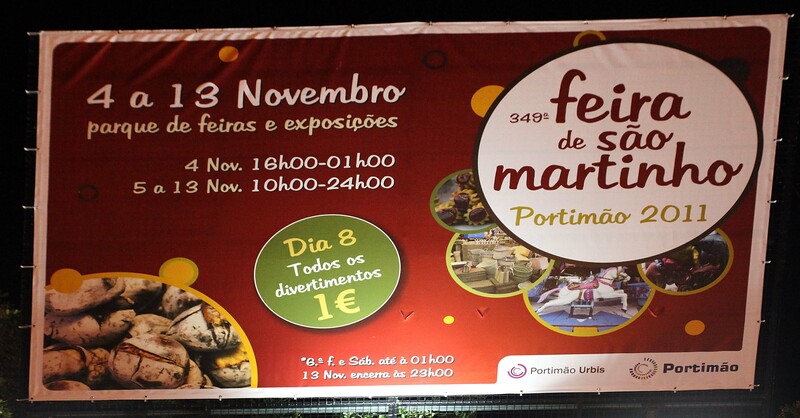 In Portimão until the 13th November (dates from 2011 – check local posters and adverts for exact dates each year .. in 2014 the fair ran for 9 nights) you can enjoy a fantastic carnival atmosphere at the fairground set up beside the fairs and exhibition park. All the rides are 2 Euros each (See the comment from Tracey below – thanks for updating me!) and there are small market stalls, with food, clothes and exhibits. And chestnuts of course! 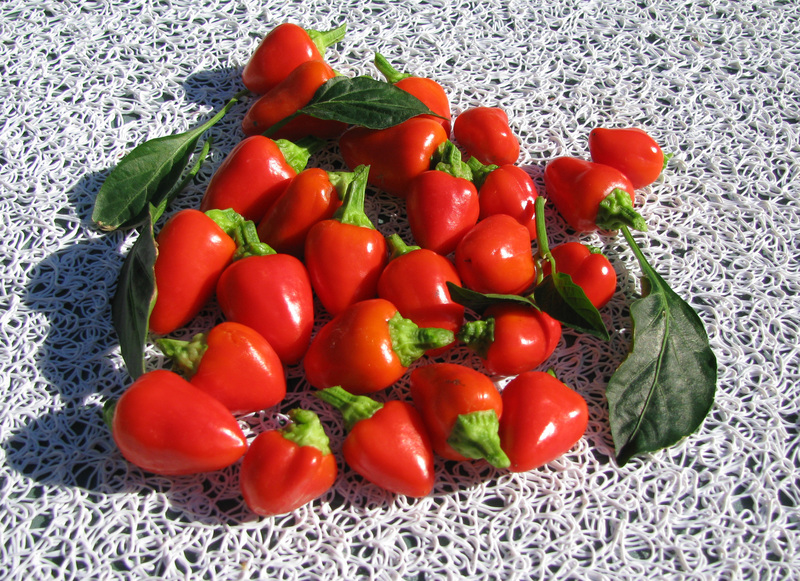 The only harvesting we have managed this week are some very bright and cheery ‘piri-piri’ peppers from a tiny plant we have on our terrace – I think we managed to find 25 little peppers … some have already disappeared into a very nice chilli, and the rest have been strung up ready to make some piri-piri oil. We’re also starting to look out our soup recipes – so far we’ve made a very nice spicy butternut squash one, and a warming carrot and ginger soup… so if anyone has any nice recipes we can try – please post them in a comment below. The shock has been the rain over the last few days – it’s been pretty heavy at times! It has also meant digging around to find jeans, shoes and waterproof coats – I’m missing my shorts and slaps already! The roof partly blew off the airport at Faro, the wind has been howling – and in the midst of this has been some lovely sunny days too – we managed 24 degrees on Sunday! But I am holding out on another St Martin’s day tradition – the belief is that the day heralds a period of warm weather called Verão de São Martinho (St. Martin’s Summer) – the equivalent of a British Indian Summer. One of our Portuguese friends reckons it will be nice weather ‘until Christmas’ – so maybe I won’t have to pack my shorts away just yet – and if it doesn’t happen I’ll just have to carry on munching all the nice warm chestnuts! 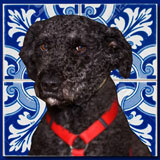 This entry was posted in About us, Algarve, Events and tagged Culture, days out, eating out, Food. Bookmark the permalink. 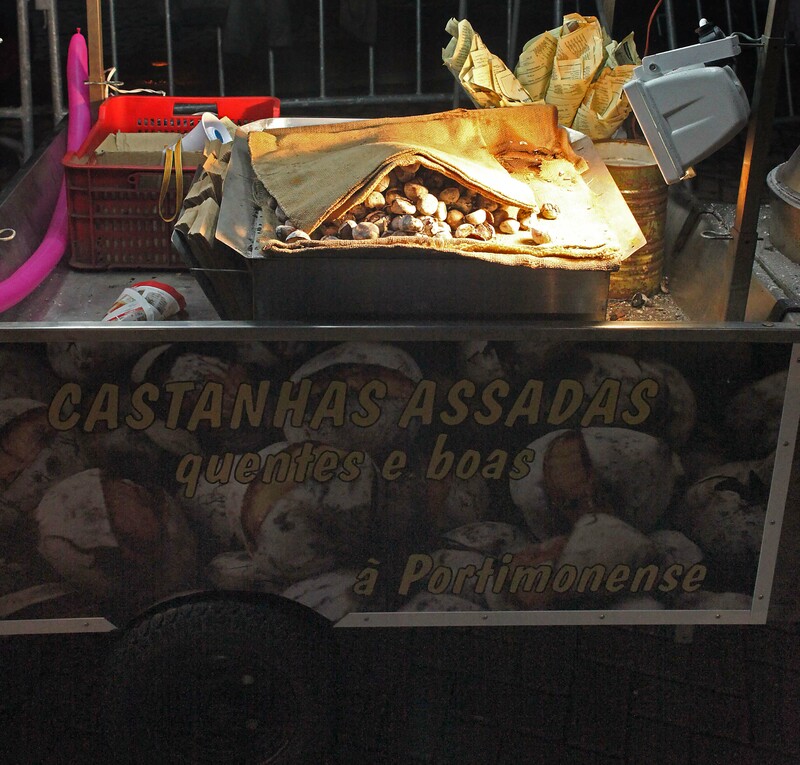 UUHHHH Sao Martinho, here I come, I´m glad I will be in Portugal by next week and get to taste the lovely roasted chestnuts. I miss that!! May I just clear up and error in your post? You mentioned the fair and said all rides are €1. I presume you’ve deduced that from the sign? My 8yo is having a “Magusto” at school on Friday. They’re all taking in chestnuts to roast. gosh – thanks Tracey for clearing that one up – take note readers! will your 8yo bring any home for you or will they all get scoffed at school?! oh I’m sure they’ll get eaten at school. Only reason I knew about the fair prices is because we visited on Sunday. I’m liking the sound of St Martin and I LOVE roast chestnuts. Did a piece for Simonseeks on the Dickensian Festival in Grassington, Yorkshire Dales last December. Difference is, here you need the braziers to keep warm! Carrot n ginger sounds good- so many lovely soups. I’m thinking of adding some recipes to the blog… and asking people to send me theirs too – we’ve actually been surprised at how we have needed to adapt recipes in some cases over here – usually because we can’t find some ingredients! so there’s probably some mileage in that idea – what do you think? Yes, I think it’s a great idea. I was going to add that I would hunt out some recipes but thought better of it as I’m not the worlds best cook. Doesn’t stop me appreciating good grub though, so when I’ve a spare minute I’ll see what I can find. You might need to use your adapting skills- what a useful service. If you had any idea just how bad I am at cooking and anything to do with kitchens – you would appreciate how amusing it is that I am even contemplating mentioning the words ‘recipes’ and ‘cooking’ !!! however I have a lovely husband who is pretty nifty in the kitchen – and I am like you – I like eating!! I have also discovered I am pretty good at making banana loaf cake with old bananas – so that will be one of the first recipes – watch this space!